Mandarin Palace Casino is celebrating August as Happiness Happens month. The casino wants its members to enjoy an added dose of happiness through August. Last month, one lucky winner, Dixie Scout, won a month’s supply of beer. This month, you get free spins, a match bonus, and bonus money. The Happiness Happens promotion is currently underway, and ends on 31st August 2018. You can expect weekly offers when you join in the fun. In order to be eligible for the Happiness Happens promotion, make sure to deposit at least $49. Once you have done so, you get to claim the special offers in order. Start with 25 free spins on the Big Game slot. Make sure to use the code BHAPPY to redeem this offer. The 95% match deposit bonus up to $500 is a great way to boost your playing power. Use the BHAPPY95 coupon code to enjoy this bonus offer. Once you have completed the free spins and the match deposit bonus, get ready for some bonus money. Enter the BHAPPY20 code to get $20 in bonus money. Although August is focused on Happiness Happens month, there are always great bonus offers at Mandarin Palace Casino. 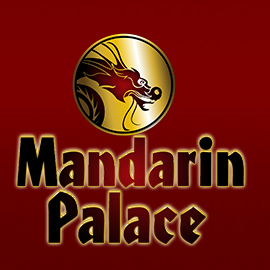 New players at Mandarin Palace Casino get up to $2,250 in bonuses with $500 available from the first deposit. The remaining $1,750 is available over your next three deposits. First Offer: Get a 100% match bonus up to $500 with the code REDLANTERN. Second Offer: Use the 75% match deposit bonus up to $625 with the coupon code CHINESECOIN. Third Offer: Take advantage of the third offer that comes with a 100% match bonus up to $500. Use the DANCINGDRAGON bonus code to release this great match bonus. Fourth Offer: This is the best offer in the Welcome Bonus promotion with a 125% match bonus up to $625. Make sure to enter the GOLDENCRANE promotional code to release this bonus. Once you have completed the sign-up Welcome Bonuses, move on to the Daily Promotion Offers. There is a new offer each day of the week. From the Monday 100% match bonus up to $200 to the 70% match bonus up to $700 on Friday, there are plenty of bonuses to go around. The weekends come with a 75% match bonus up to $800 on Saturdays, and a 70% match deposit bonus up to $750 on Sundays. Last updated by Shannon on August 12, 2018 .